Standard filler paper is three-hole punched for an easy fit in standard-size, three-ring binders. 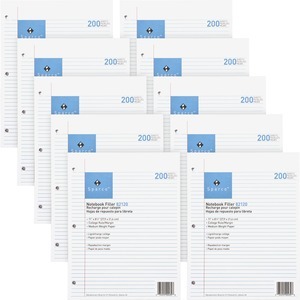 Each college-ruled sheet of 16 lb. paper features faint blue ruling with a red margin line.